I had the honor of attending a special movie screening of the intriguing war drama, "12 Strong". 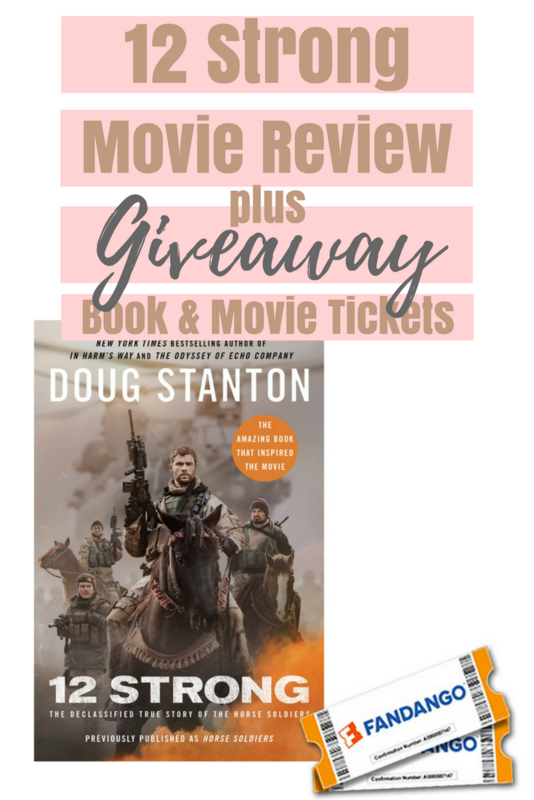 Oscar winners Ted Tally ("The Silence of the Lambs") and Peter Craig ("The Hunger Games: Mockingjay, Parts 1 & 2") wrote the screenplay based on Doug Stanton's 2009 bestseller, Horse Soldiers: The Extraordinary Story of a Band of U.S. Soldiers Who Rod to Victory in Afghanistan. 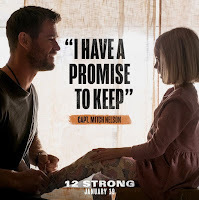 The film, produced by the legendary Jerry Bruckheimer (known for his "Pirate of The Carribean" films), is based on a true story of the first American soldiers and their families, who were sent to Afghanistan immediately after the September 11th attack. Captain Mitch Nelson, performed by Chris Hemsworth (known for his performances in Thor), leads a team of twelve men on a dangerous mission into unknown territory, in pursuit of defeating the Taliban and it's Al-Qaeda allies. Outnumbered and unknowingly outgunned, the team arrives in Afghanistan and collaborates with the Northern Alliance to tackle the extremely dangerous Taliban forces. Accustomed to state of the art technology and transportation, the U.S. Special Forces Team has to adapt to the ways of the Afghan horse soldiers and were expected to combat war using horses as their only means of transportation. Which for most of the team, was their first time saddling a horse. However, they had a very critical mission to complete and proceeded to battle with the help of coordinated bomb strikes from the air used to cripple the Taliban forces and to diminish their weapon supply. 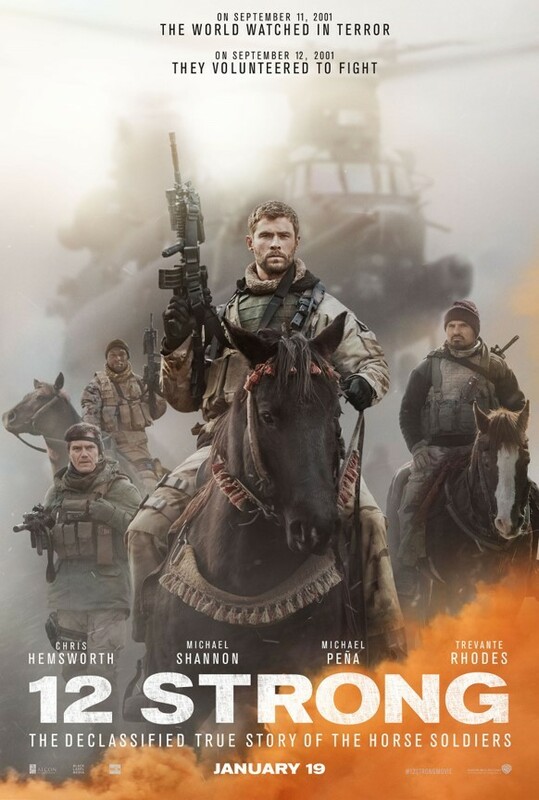 Directed by the award-winning director, Nicolai Fuglsig, the film depicts the strength and wits of the "Horse Soldiers" as they beat all odds to win the seemingly impossible battle against the Taliban with every soldier still standing. I gained insight on what having "heart" truly means. No matter the odds, we have the power to win. If we put forth the necessary will power; nothing can stop us. I've partnered with Review Wire Media to give you a chance to claim your very own copy of the critically acclaimed tale, Horse Soldiers: The Extraordinary Story of a Band of U.S. 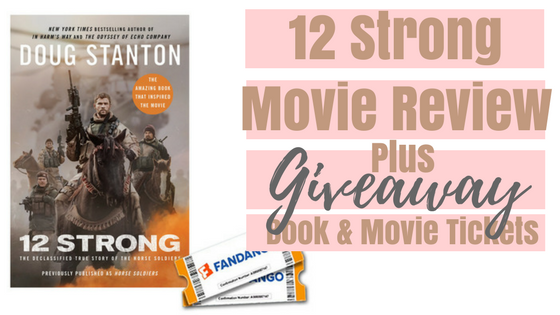 Soldiers Who Rod to Victory in Afghanistan and two tickets to see the film "12 Strong". Click to enter your very own chance to win. The film "12 Strong" opens January 19, 2018 by Warner Bros. Pictures, a Warner Bros. Entertainment Company.